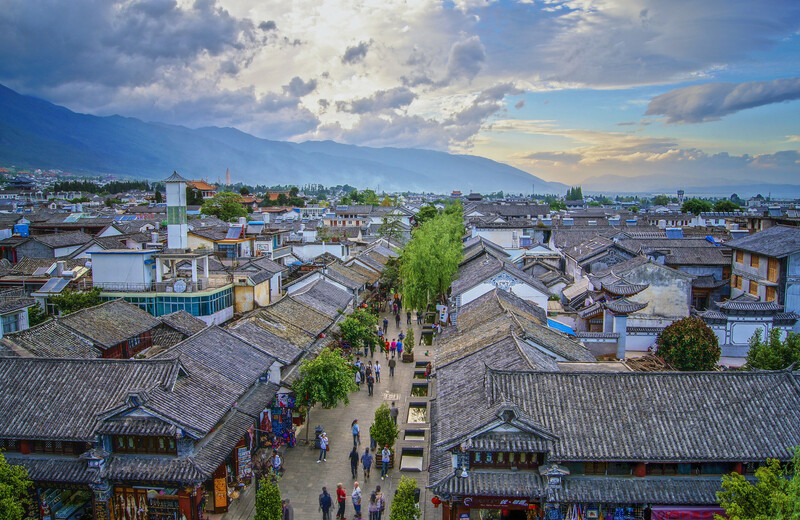 Located in the Yunnan Province of China is the picturesque Dali Bai Autonomous Prefecture. 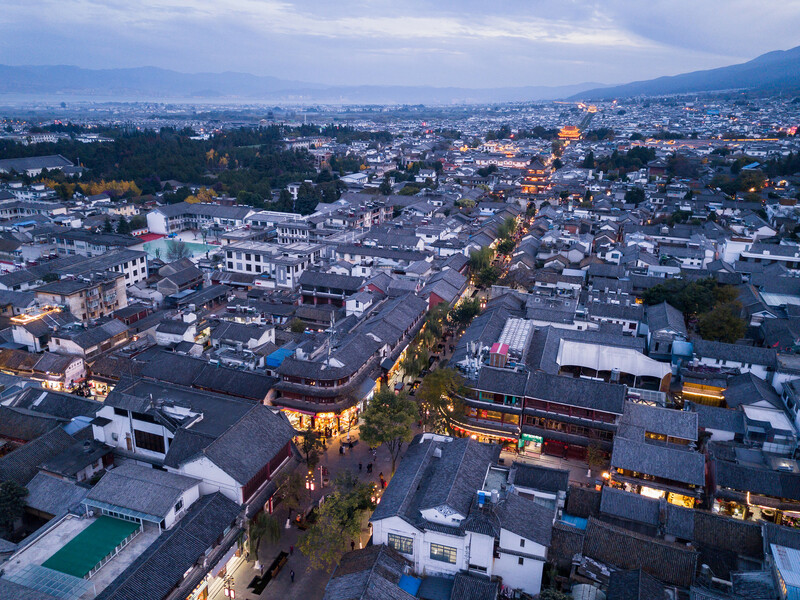 Its capital, Dali City is an awesome mix of ethnic groups with colorful and interesting customs and traditions. 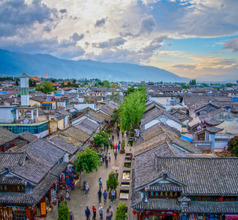 Dali City is home to the Han Chinese and ethnic minority groups like the Bai, Hui, Lisu, and Yi. The prefecture is named so because nearly 65% of the prefecture’s population consists of the Bai people. 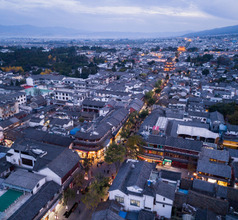 The city of Dali is a center for several festivals celebrated by the different ethnic groups. One gets the feeling that the people are celebrating something throughout the year! 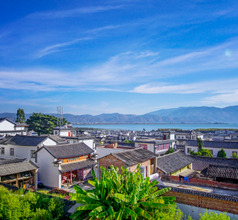 Besides its diverse and colorful culture, another reason why Dali is a popular tourist destination in China is that the city is surrounded by wonderful natural scenery. 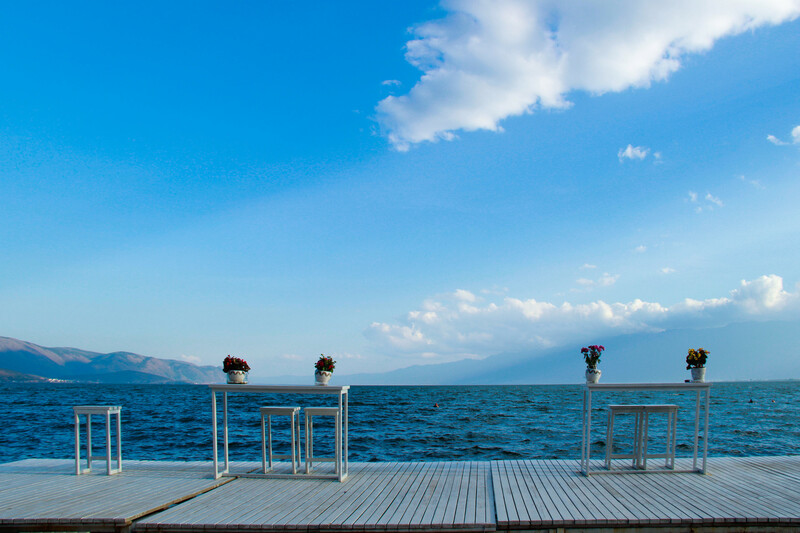 The region is dominated by the spectacular Erhai Lake and the Cangshan Mountains. 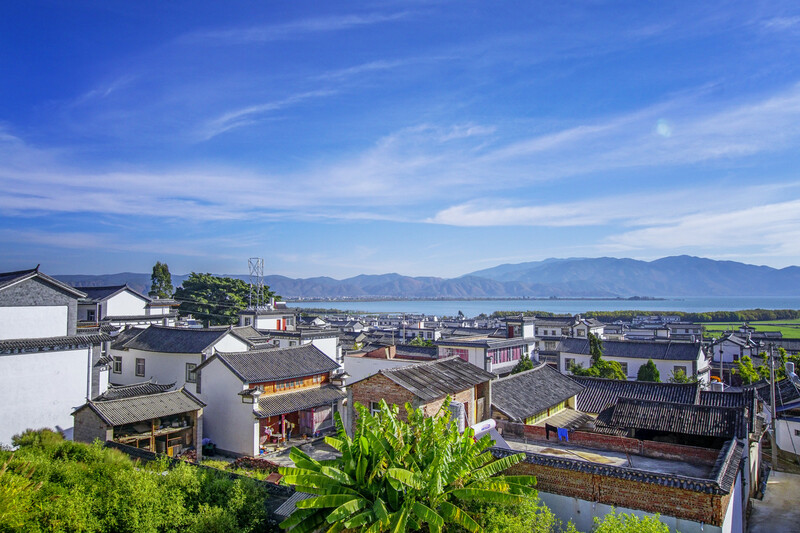 Caught between these two magnificent landscapes, Dali City is blessed with irresistibly beautiful scenic areas. Dali City has a history that goes back 3000-4000 years. 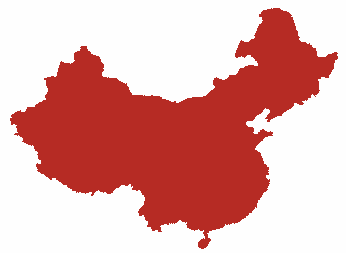 The Bai Kingdom was first established after overthrowing the Tang Dynasty. Later, the city was occupied by the Mongols under the leadership of Kublai Khan. There were several changes in the regime but throughout, the city of Dali remained a powerful political, cultural, and financial hub with influence not only in other parts of China but also in Burma (now Myanmar). These changes have left their mark on the city in the form of different architectural marvels and cobbled streets that still exist. Today’s Dali City also encompasses the region called Xiaguan which is located to the south of the main city. This southern region is a bonanza of picturesque green landscapes, monasteries, ethnic villages, pagodas, and other interesting tourist attractions. In fact, Dali City is a popular tourist destination in China for hikers, trekkers, campers, and backpackers. 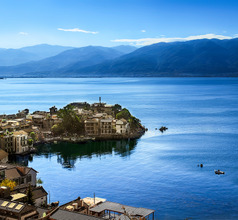 Most people choose to stay in Dali Old Town on the western side of the lake. The ancient village has a touristy feel and plenty of nightlife, the only thing is it's a few kilometres from the lake. Alternatively you can stay in the main Dali City (Xiaguan) on the southern side of the lake, especially if you are after something more modern. 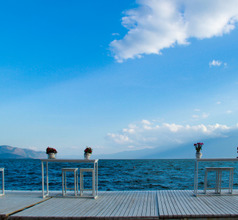 The best Dali experience however has to be staying in one of the boutique inns on Erhai Lake, which range from super cheap to absolute luxury. They're mainly found along the western side of the lake, but there are also quite a few on the hills overlooking the lake near the airport on the eastern side. 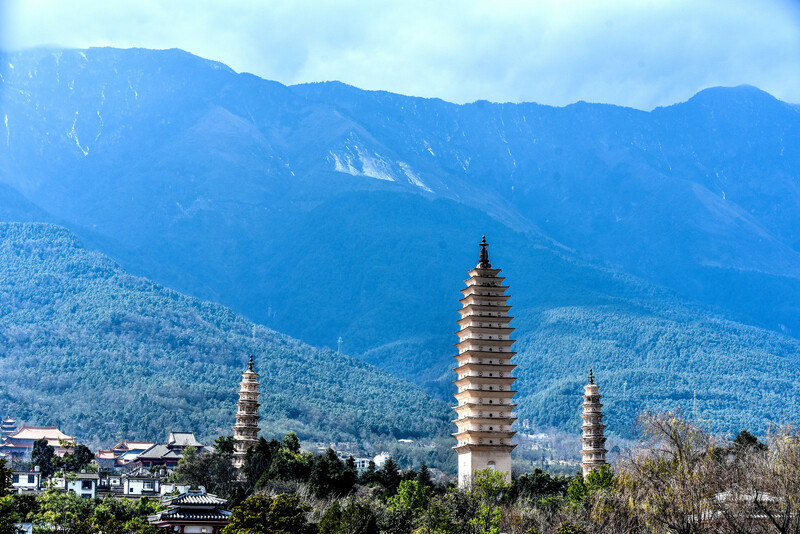 The Cangshan Mountain Range is considered a national level Geopark and Nature Reserve and is the most popular tourist attraction near Dali City. This scenic area may take more than a day to explore in detail. But there are reasonably priced guesthouses near the Zhonghe Temple so one doesn’t need to drive back to Dali and return the next day. The Geopark is a bonanza of exotic flora and fauna and is a great hiking zone. Cable cars and chairlifts are available to reach the top of the mountain. The Cloud Traveler's Path is the most well-known hiking path up the Changshan Mountains. Its summit is believed to be 2,500 meters above sea level. As one goes up the path, a cable car is available near Gantong Temple to reach the summit. Signs along the path are written in Chinese as well as English, which is a great help. Other beautiful sites on the mountains are the Phoenix Eye Cave and the Seven Dragon Pools but sometimes these sections are closed due to landslides. The Erhai Lake Villages area consists of 17 villages spanning the western banks of the Erhai Lake. One can experience the quaint ethnic village life by exploring the beauty of the villages, meeting the friendly locals, and eating the local cuisine. The usual tourist circuit goes along picturesque landscapes. The most significant ones are the three bridges built during the Qing Dynasty era and the Guanyin Temple (Goddess of Mercy Temple). Hikers usually follow the West Erhai Ring Road. The Tang Dynasty Three Pagodas are also famous landmarks of Dali City. 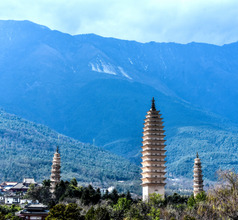 These pagodas are the tallest ones in China. The central pagoda is also believed to be the oldest one, about 1,150 years old and was built during the Nanzhao Kingdom. The one station in the city serves just a few low-speed routes. There is no high speed railway in Dali. Heading south, the railway line connects to Kunming, whereas heading north, it connects to Lijiang. 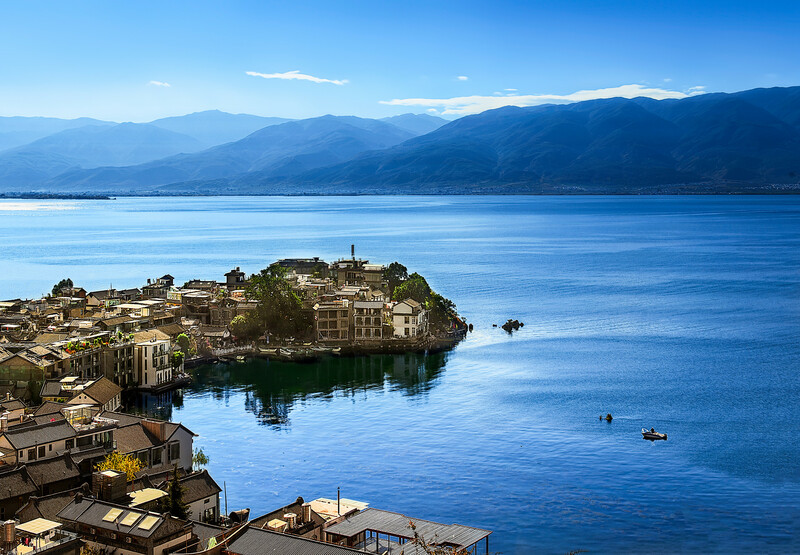 The airport is 12km from Dali which is built on the shore of Erhai Lake in Yunnan province. The port sees major traffic from Air China, China Eastern and Chongqing Airlines which make rounds to Chongqing, Chengdu, Beijing, Jinghong, Kunming, Mianyang, Shanghai, Pu’er, Luzhou and Guangzhou. Time taken from airport to the city is roughly 20 minutes and a taxi ride would cost upwards of RMB 100. Airport shuttles are cheap but take more time. There is a lot of variety in the local food of Dali City. From casseroles to scrumptious snacks, the people of Dali love their food. Their cuisine involves various processes like steaming, deep-frying, pickling, stewing, etc. They take their time to ensure that each dish is rich in flavor and aroma. Some of their local specialties include the chicken casserole with stewed carp, Xizhou Cake, Liangji Rice noodles, hot and sour fish, steamed marmite fish, and the Three-Course Tea which consists of the bitter tea, sweet tea, and the final brew. Some popular snacks are Dengchaun Milk Fans (Dairy Fans or Ru shan), Er Kuai, Ba Ba, etc.